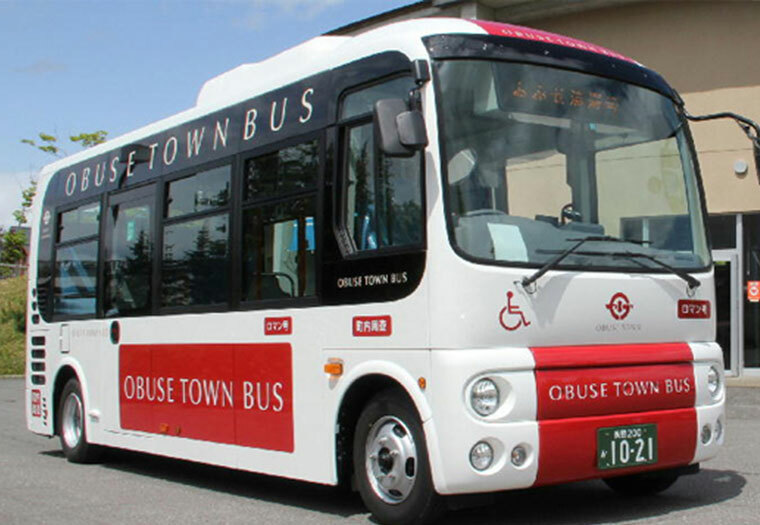 Obuse is a small town just a little more than 2km in radius. Walking is the best way to get around in the center of town. When visiting the surrounding area, you may wish to use a rental bicycle, taxi, or shuttle bus. ¥400 for the first 2 hours ¥100 for each additional hour. ¥500 for the first 2 hours ¥100 for each additional hour. ¥300 for the first 1 hour ¥200 for each additional hour. Offers both cross bikes and road bikes for rent to help you get the most out of Obuse and the surrounding area. Cross Bike; 1,000 for 2 hours. Road Bike; 1,500 for 2 hours. ● 08:00–17:00, Closed Wednesdays and during the winter. Operates mainly on Saturdays, Sundays and holidays,as well as weekdays from mid-April through May and from mid-July through November. Does not operate from December through March. Purchase tickets in advance at marked with a . Tickets are not sold on the bus. The taxi stand is immediately in front of the station entrance, where a courtesy phone is also available.